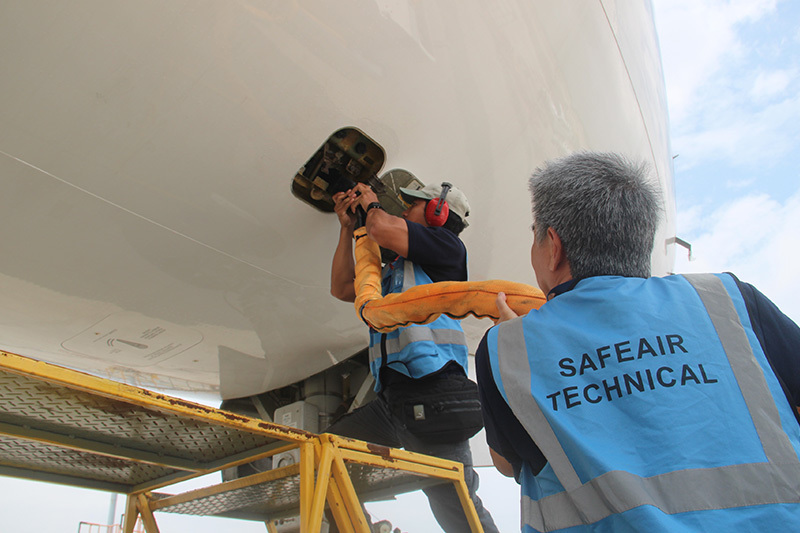 Safeair Technical provides Technical Line Maintenance and Ground Handling Services for commercial airlines operating to Malaysia. 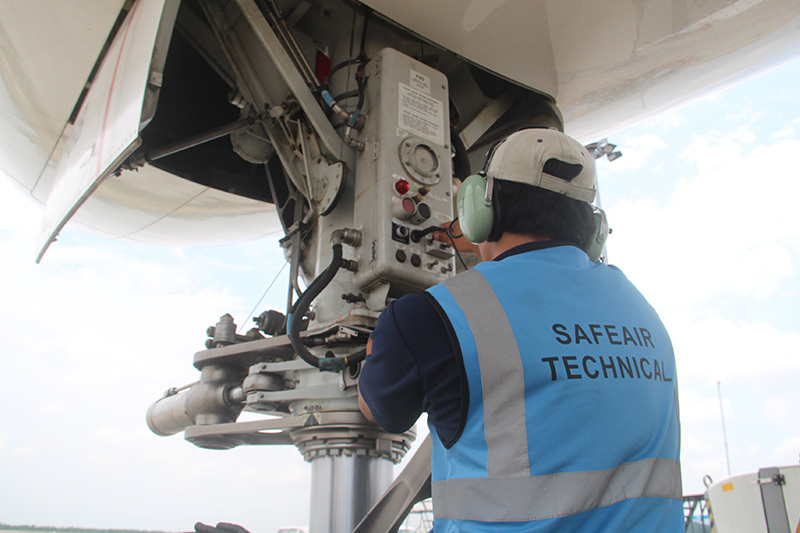 SafeAir Technical Sdn Bhd was incorporated in 2009 to provide technical line maintenance services for airlines that operate to Malaysian Airports. The company took on its first service with Cebu Air’s A320 aircraft on June 2011 at Kuala Lumpur International Airport and followed by Kota Kinabalu International Airport. Since then, SafeAir’s customer base has expanded to a network of airlines such as AirAsia, Air Phil Express, Bangkok Airways, Jetstar Airways, Tiger Airways, Vietjet, Lucky Air and China Southern Airlines, Foreign and Local Charter Airlines and Aircraft Leasing Companies among others. Providing services in an industry that requires high safety standards and a demanding service, SafeAir has expanded its scope of services to meet the ever growing commercial aviation market demand. Apart from that, the company has also expanded its services to Ground Handling to cater to narrow body and wide body carriers. Safeair has also grown it’s geographical presence with several other service stations around Malaysia. With its main operations in place at Kuala Lumpur International Airport, SafeAir is also able to offer its services at the Penang International Airport, Langkawi International Airport, Sultan Azlan Shah Airport in Ipoh, Perak, Kota Kinabalu International Airport and the Melaka International Airport. Apart from having certifications by the Department of Civil Aviation Malaysia, SafeAir is also certified by the Civil Aviation Authorities of Singapore, Philippines, Thailand, Myanmar and Vietnam to carry out line maintenance work on each countries airline that fly into the airports SafeAir operates in. The company is able to carry out line maintenance work on the Airbus A320 series, Airbus A330, Boeing 737 series, Boeing 777 and Boeing 747 series operating in Malaysia and is expanding the capability to include other aircraft types. 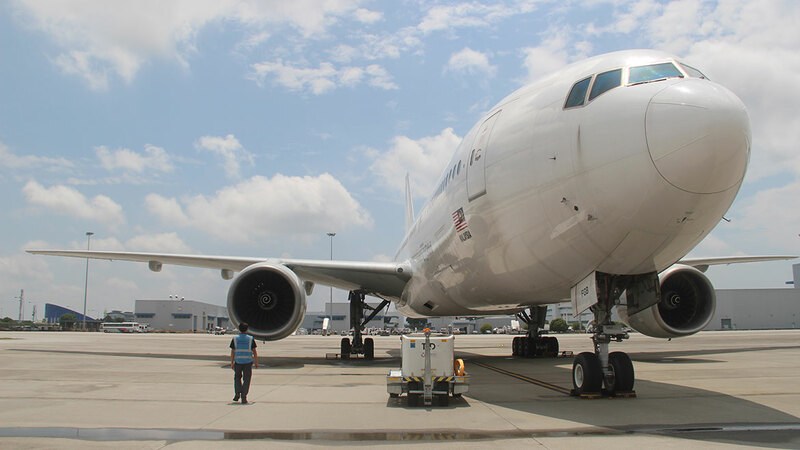 With a team of highly experienced ground handling team, SafeAir is able to provide a comprehensive range of ground handling services to handle passengers and flights. The company has the capabilities to provide an extensive range of line maintenance services that ensures the fitness of an aircraft and the safety of its passengers. 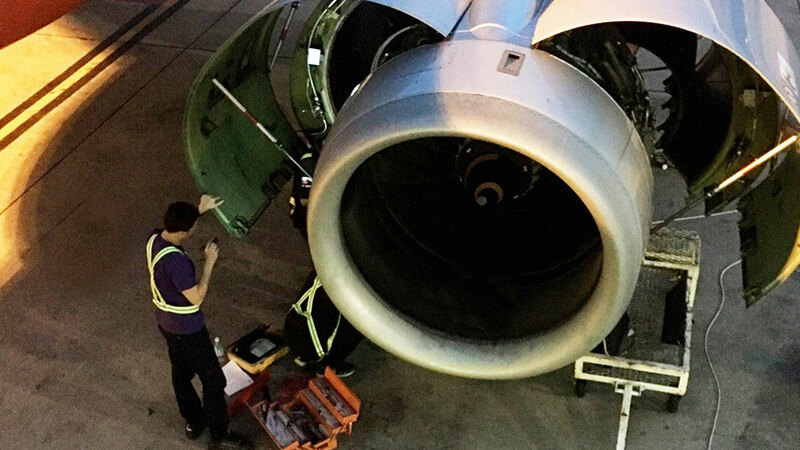 SafeAir is able to provide highly skilled Aircraft Maintenance Engineers and Technicians that are capable of working under any condition and continue to deliver their best. With a team of highly experienced engineers, SafeAir is able to extend its technical expertise to provide comprehensive consultation services that meets clients’ objectives. B-06 Contact Pier, Ground Floor, Main Terminal Building, Kuala Lumpur International Airport, Sepang, 64000, Selangor Darul Ehsan, Malaysia. 11 North Wing, Ground Floor, Penang International Airport, Bayan Lepas, 11900, Penang, Malaysia. Terminal 1, Kota Kinabalu International Airport, 88200 Kota Kinabalu, Sabah, Malaysia. Sultan Azlan Shah Airport, Jalan Lapangan Terbang, 31350 Ipoh, Perak, Malaysia. Langkawi International Airport, Redland FBO, Jalan Padang Matsirat, 07000 Langkawi, Malaysia.